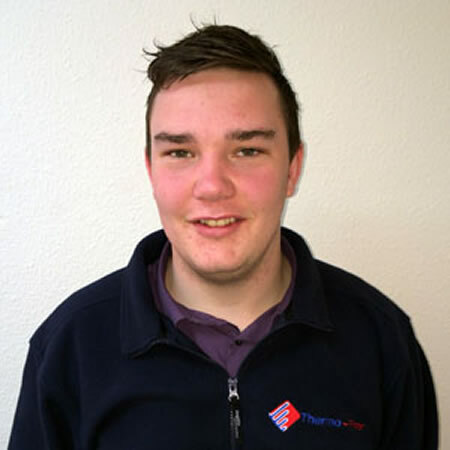 Moving into 2014, Thermo-Floor have invested in a new apprentice mechanical estimator who will be trained in all of the aspects relating to underfloor heating and renewable energy systems. Chris Goode joins us with a strong background in dealing with projects and customer interactions. We welcome Chris on board and can see him being a valued part of the team as we move into the new year. 2013 has seen significant expansion and growth leading to the employment of a number of new staff members. Several new contracts and repeat customer orders have also allowed us to move into new technologies and markets which we will be looking to expand further in 2014. If you are looking for a new challenge and have a background in renewable energy systems, please contact us as we will be looking for quality people in the next few months. For more information contact Neil Evans at Thermo-Floor on 01455 203205 and we can discuss this with you in more detail. As part of our knowledge base and its open distribution to customers and suppliers alike we are pleased to announce a technical bulletin for heat transfer considerations for both underfloor heating and underflow cooling. 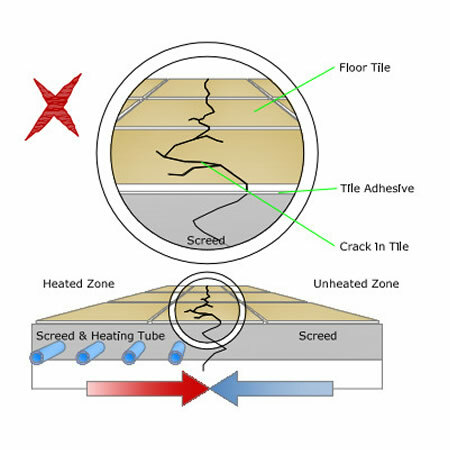 In any instance whereby there is both heated and unheated areas within a particular zone where the floor finish is a tile such as a ceramic, stone, marble or granite material there will be the possible movement of energy (in this case the heat difference). 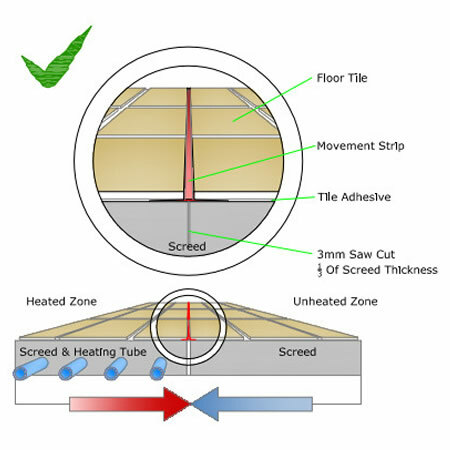 This can be controlled by the use of a joint control within the screed and through the tiled floor finish as shown in the illustrations above. 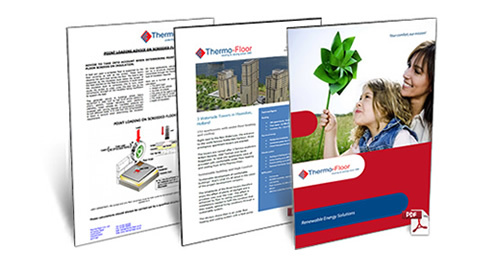 For more information visit the online media centre to download the PDF or contact Thermo-Floor on 01455 203205 and we can discuss this with you in more detail. Solar PV is an ideal complementary renewable energy system alongside your underfloor heating system. Thermo-Floor offer Solar PV systems as a standalone project or one which is inclusive to a wider range of technologies. 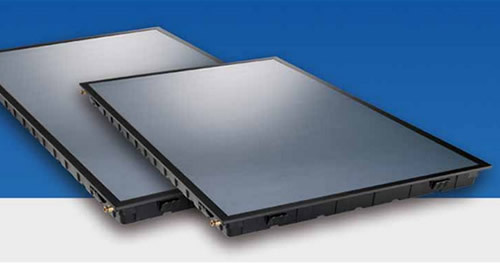 Thermo-Floor offer a complete Solar PV solution using the best materials on the market. Our Solar PV systems can be installed for both commercial and domestic applications with advice provided on the feed-in tariff. 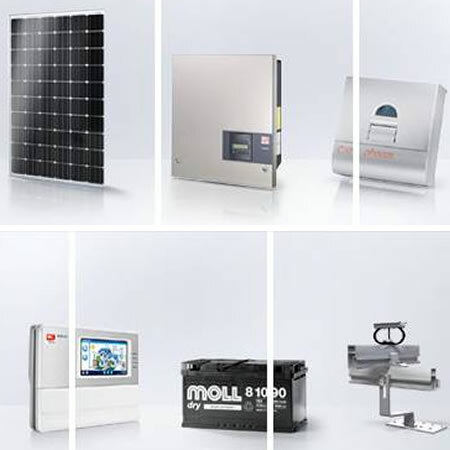 Solar PV products include solar modules, Inverters, mounting systems and monitoring systems. Photovoltaic systems comprise various components, starting with a mounting system, which is installed on a roof, in a field or on a redevelopment site. The mounting system provides a stable support for the photovoltaic system, which is where the electricity is actually produced. Contact Thermo-Floor for more information on our latest range of Solar PV systems and how they can fit your renewable energy project. 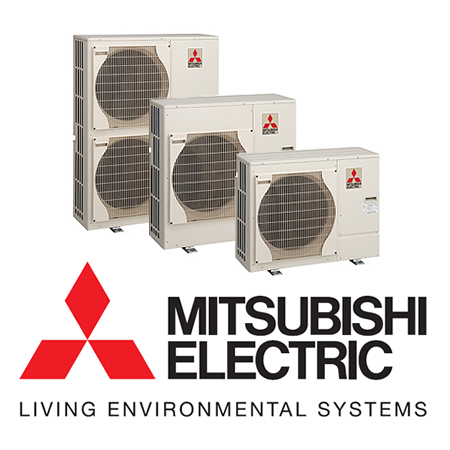 Thermo-Floor UK are now offering Mitsubishi Heat Pumps as part of their renewable energy offering. 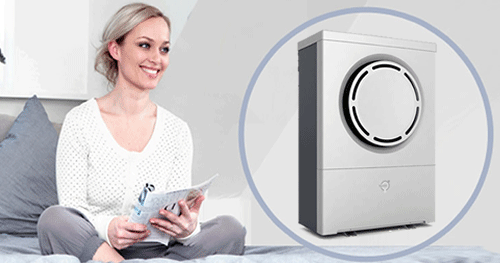 Mitsubishi Heat Ecodan air source heat pumps are ideal for use in a variety of house sizes or styles and its carefully developed control system is designed to work perfectly to provide hot water to either traditional radiators or under floor heating systems. 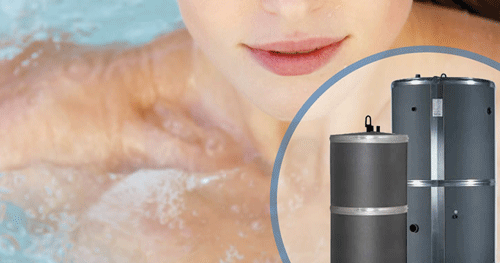 Traditionally heat pumps have been seen as only suitable for under floor heating, however with the advanced control system of Ecodan and its ability to provide optimum variable flow temperature control, radiators can now be easily provided with the hot water they need and prove to be a very efficient option. If you have a multi heating system with Underfloor Heating and Radiators the Ecodan is ideal for this type of system. 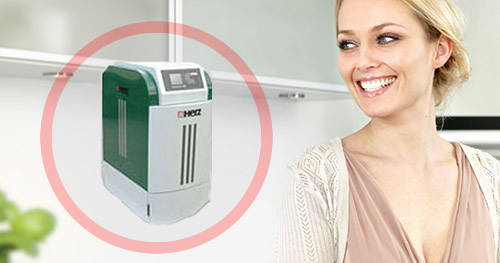 Capacities between 1.5kW and 5.2kW the W50 is ideal for many applications ranging from smaller existing homes or flats to medium sized newly built homes. Capacities between 3kW and 9kW the W85 offers the widest scope to cater for the majority of applications. Capacities between 5kW and 14kW the W85 our most powerful unit is perfectly suited to provide effective heating and hot water. Our new collection of Mitsubishi Air Source Heat Pumps and the relationship we have as partners will ensure that your project will be completed using the latest technologies for Underfloor Heating and Cooling installations. The Renewable Heat Incentive (RHI) domestic 7 year tariffs have finally been confirmed by the Department of Energy and Climate Change (DECC). Householders could get paid hundreds of pounds a year stated Greg Barker, the Energy and Climate Change Minister. Householders could be paid hundreds of pounds a year for generating heat by solar thermal panels, biomass boilers and heat pumps. The tariff levels have been set at 7.3p/kWh for air source heat pumps; 12.2p/kWh for biomass boilers; 18.8p/kWh for ground source heat pumps and at least 19.2 p/kWh for solar thermal. The new Renewable Heat Incentive (RHI) for householders is designed to drive forward uptake of renewable heat technologies in homes across Great Britain to cut carbon, help meet renewables targets and save money on bills. The scheme is a world first, and has been up and running for the non - domestic sector since November 2011. 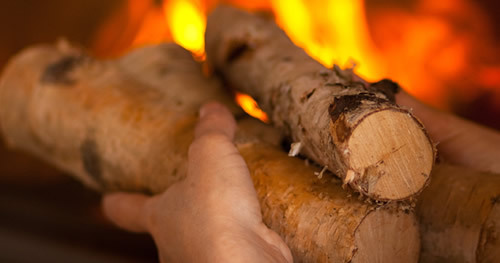 The announcement follows extensive consultation on how a financial incentive would work best for householders and takes into account lessons learned from the Renewable Heat Premium Payment grant scheme (RHPP) and the RHI non domestic scheme. 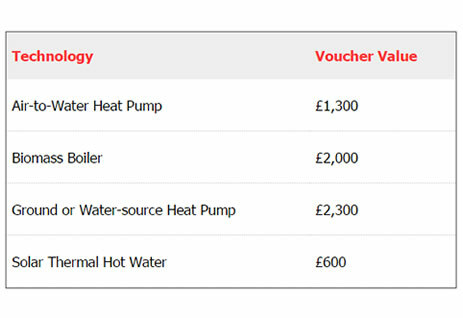 Householders, self-builders, private and social landlords and third party owners with heat pumps installed since 15th July 2009 to MCS standards can apply for the RHI. Installations completed prior to launch of the scheme will required a service to demonstrate that the heat pump is operating correctly. See our range of maintenance contracts to suit different needs and budgets, all of which include an annual service. How is the RHI monitored? Most installations will not require metering. Second homes will require metering to qualify. These properties will benefit from an extra £230 a year towards the extra cost of this equipment. Source Energy are a BRE accredited RHI metering installer. We will be setting up a metering program and will be in contact with our eligible customers in due course. If you are thinking of either an air source heat pump or a ground source heat pump contact us for a presentation on how the RHI scheme operates. DECC are implementing a phased introduction to the scheme for people and projects where the installation of a qualifying system is after 15th July 2009. Thermo-floor are pleased to announce the awarding of the MCS accreditation (certificate number is NIC4172) for Heat Pump Installation. The Microgeneration Certification Scheme (MCS) is an industry-led and internationally recognised quality assurance scheme, supported by the Department of Energy and Climate Change (DECC). The MCS (Microgeneration Certification Scheme) is a mark of quality and demonstrates compliance to industry standards that companies strive to meet. It highlights to consumers that companies are able to consistently install or manufacture to the highest quality every time. MCS is an internationally recognised quality assurance scheme, supported by the Department of Energy and Climate Change. MCS certifies microgeneration technologies used to produce electricity and heat from renewable sources. MCS is also an eligibility requirement for the Government's financial incentives, which include the Feed-in Tariff and the Renewable Heat Incentive. 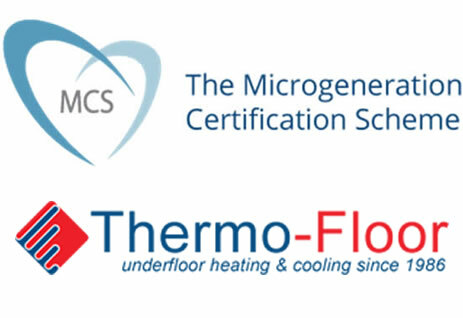 For more information about Thermo-Floor and our recent MCS accreditation award contact us on 01455 203205. Key changes have been made to the householder stream of the Renewable Heat Premium Payment (RHPP) announced by the Department of Energy and Climate Change on 20 May 2013. If you are considering a project involving a Ground Source or Air Source Heat Pump then this article will be of interest to you. In addition, new applicants from the date of this article will also be required to undertake a Green Deal Assessment before submitting a claim for payment of their voucher. The Assessment will help consumers to choose the most appropriate new technology for their home and circumstances. As the voucher levels are being increased, this additional money will cover the costs of an Assessment. We hope the additional money available will encourage even more people to consider switching to renewable heating. 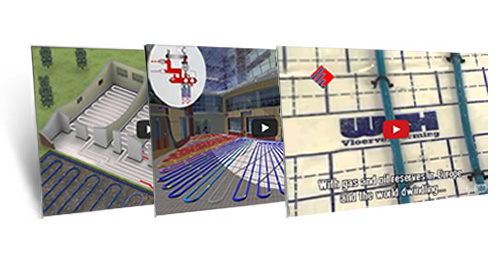 Thermo-Floor are well placed to service your project and we can provide more information about the RHPP system on 01455 203205. 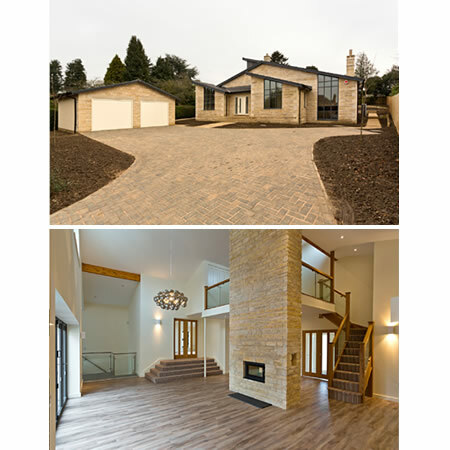 Following on from our recent announcement that we offer Danfoss Heat Pumps with Thermo-Floor Underfloor Heating systems, we are pleased to announced two projects which feature these technologies as a combined solution. 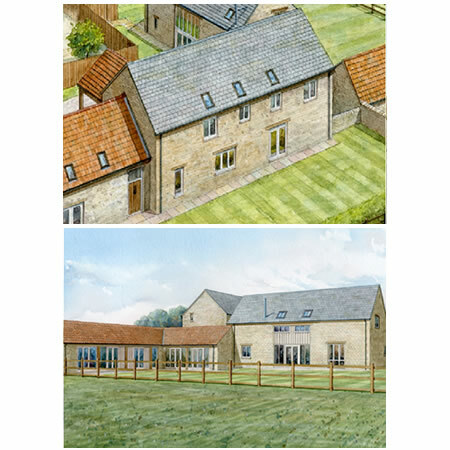 This development has two barns which have been converted into two dwellings. Each has UFH on the ground floor with traditional radiators upstairs. Thermo-Floor was contracted to design and install the UFH system, floor screed as well as an ASHP on each dwelling. Air source heat pumps use a refrigeration process to transfer low grade energy from the air outside into high grade energy. We installed Danfoss 16Kw DHP-AQ heat pumps at each of the three properties with 300l hot water cylinders and 200l buffer cylinders. 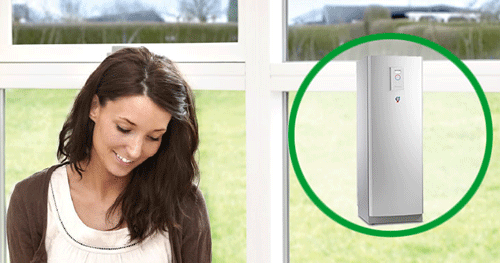 Thermo-Floor UK are now offering Danfoss Heat Pumps as part of their renewable energy offering. 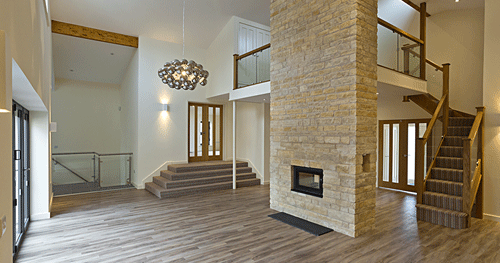 Danfoss Heat Pumps are a proven technology for Underfloor Heating Applications. 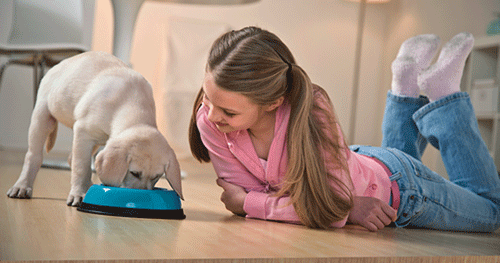 We have expanded our website to now include the range of products offered. 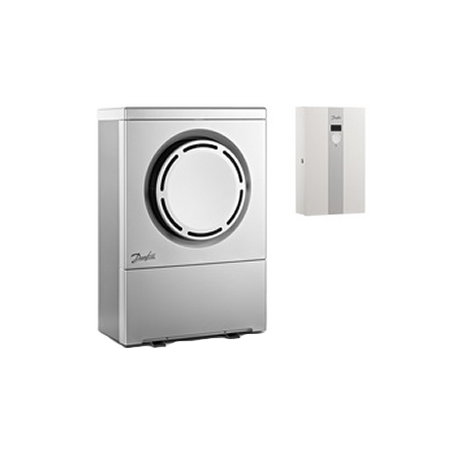 Danfoss has over 30 years of experience, offering an unrivalled knowledge and experience in Air Source Heat Pumps and Ground Source Heat Pumps from 6kW to 160kW and systems in excess of 250kW. Air source heat pumps use a refrigeration process to transfer low grade energy from the air outside into high grade energy. Ground source heat pumps utilise energy in the earth surrounding a property to provide heating and hot water solution. Our new collection of commercial heat pumps are designed to meet the needs of organisations or properties with a larger demand for heating. Underfloor Heating can be installed with an Air Source Heat Pump or Ground Source Heat Pump system offering a highly efficient heating solution for your home of office space. Our combined experience in Underfloor Heating and Heat Pump technology will ensure that we can provide a winning formula for your renewable energy project. 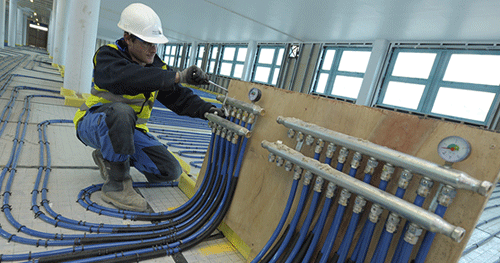 Thermo-Floor has started 2013 with several orders secured on mid to large value contracts. Our forecasts for the sector are positive and we have recently employed two Area Sales Managers covering Renewable Energy systems. 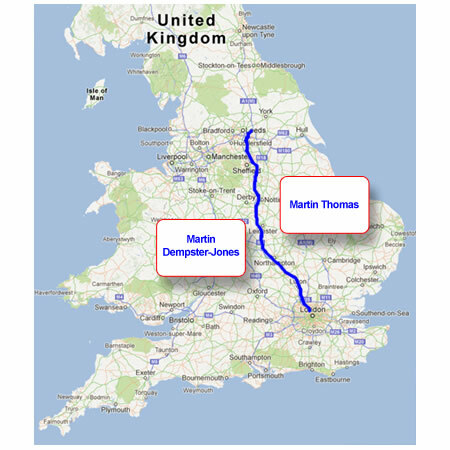 Geographically our reach across the UK have been strengthened with the appointments of Martin Thomas focused on East side of the M1 corridor and Martin Dempster-Jones focused on the West side of the M1 corridor. The growth of renewable energy systems in the UK makes this an attractive role along with meeting new people in both domestic and commercial applications. A background in heat pumps and underfloor heating will help us identify the optimum solution for your project. I am looking forward to the role at Thermo-Floor as 2013 is already reporting strong results with the new home builders in respect to increased turnover. This can only be good news as the housing and construction markets move forward investing in renewable energy technology. 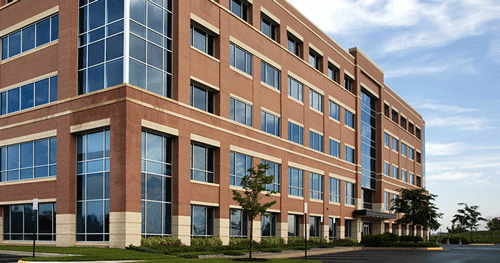 I have many years’ experience in the M&E sector. 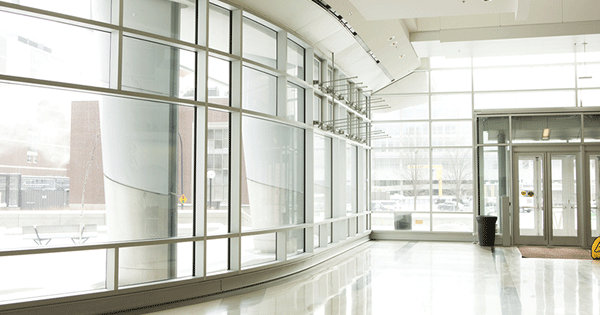 Dealing with Architects, Specifiers, Consultants and Contractors. 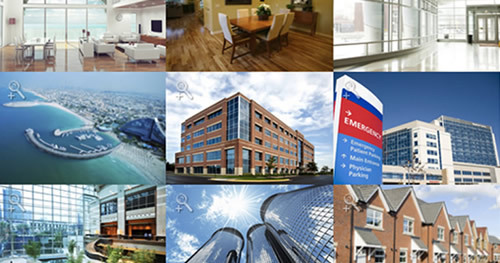 Guiding them from the initial design stage up to and including commissioning of Underfloor heating and cooling systems. 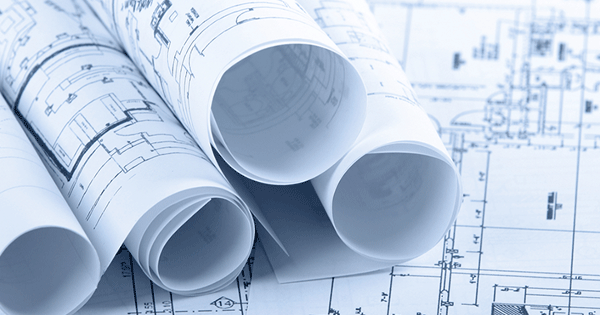 My role involves dealing with Architects, Specifiers, Consultants and M&E Contractors. 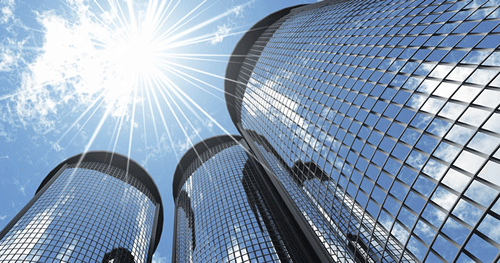 I will also be offering support to the design, supply and installation of domestic and commercial Underfloor heating and cooling systems as well as air and ground source heat pumps. 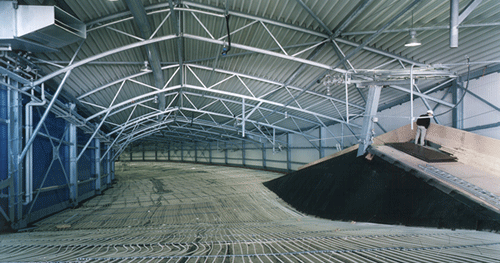 The design maximises the potential of a very difficult site. 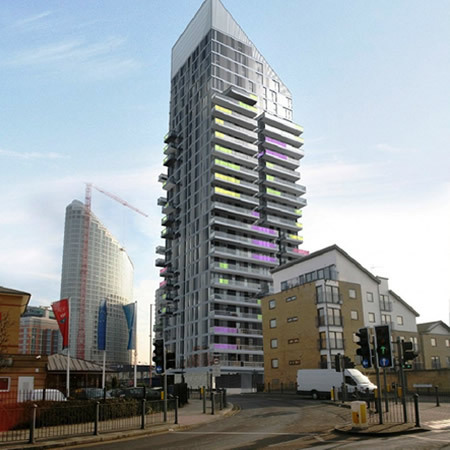 Developed by the Swan Housing Association, the scheme stands to the immediate west of Ballymore's New Providence Wharf and Ontario Tower only a short walk from the Blackwall DLR station. The development includes a number of features such as a biomass boiler, the latest in insulation to avoid heat-loss, and a green roof that's intended partly as an aerial nature reserve. The new build development consists of a mix of studios, one, two and three bedroom apartments and penthouses with stunning views of Canary Wharf, the City and the Limehouse Cut Canal. Just a few minutes from Caspian Wharf lies Stratford's Olympic Park, and its lasting legacy of the regeneration of East London. 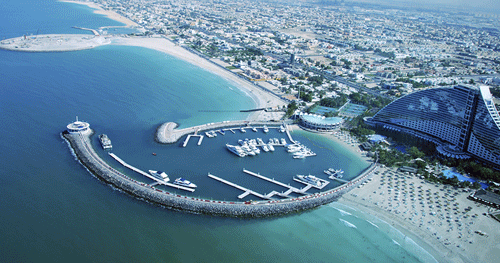 Designed by Omiros One Architecture for Aldar Properties, The Yas Island Yacht Club’s is conceived as an iconic landmark on the brand new Yas Marina and F1 Track in Abu Dhabi. 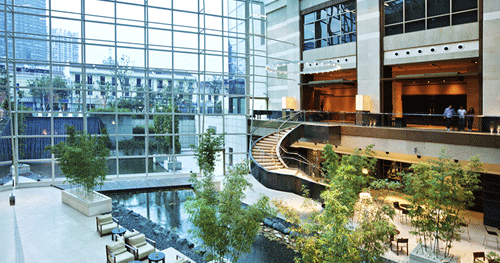 Thermo-Floor were contracted by Cerbarco Abu Dhabi to provide underfloor cooling to the grand foyer of this stunning building. 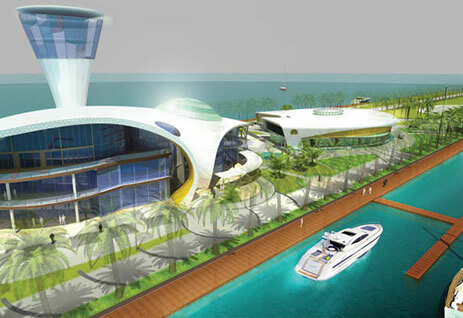 The Thermo-Floor underfloor cooling system was installed and uses the Yacht Club chiller plant as the cooling source. The RUW-WW manifolds were installed with plate heat exchangers to ensure the water used from the chiller stayed separate from the water passes through the underfloor cooling pipes to eradicate contamination and to ensure the water does not freeze. 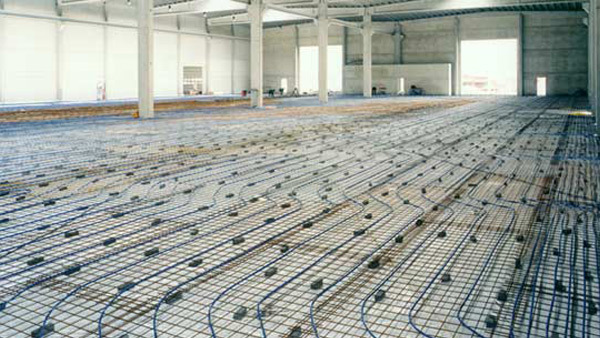 A Thermo-Floor project manager oversaw each stage of the project including the installation in Abu Dhabi and more information can be found our underfloor Cooling case Study page by clicking here.